Southampton, PA. –CW Industries, a long recognized manufacturer of switches, connectors, custom components and contract manufactured parts for the OEM, has appointed Sterling Marketing Inc. as their new Sales Representatives in New England. Founded in 1999 by Kevin Burgwinkle, Sterling Marketing Inc is a five person agency that focuses on the design engineer at OEM’s in the Medical, Defense/ Aero and Telecommunication Industries. Sterling Marketing has many years of extensive experience and provides in depth technical support for their principles in the assigned territory. Sterling Marketing can be contacted at Sterling Marketing Inc, PO Box 505, Sterling, MA 01564. Phone: 978-422-0068. E mail: Sterling.Marketing@Comcast.net. CW Industries, a long recognized manufacturer of switches, connectors and custom components for the OEM, has developed a line of fully enclosed, heavy duty power slide switches that are rated at 16A 125VAC. 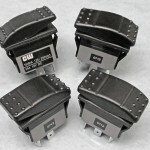 The G/GS– 2011 and G/GS -2012 Series Power Slide Switches are Dust Proof and available in both SPST and SPDT circuitries. 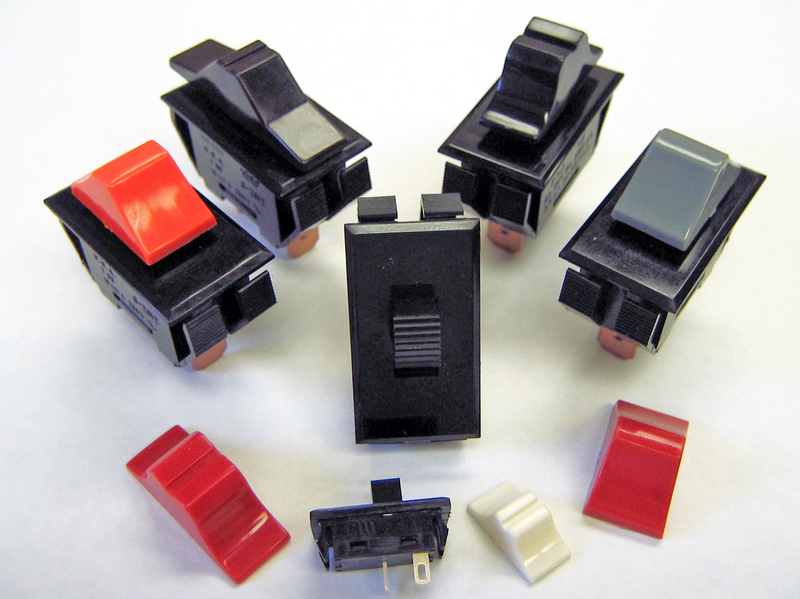 These compact switches are easy to install into a panel opening of 0.550 x 1.125 and available in custom colors. Optional toppers can be added to the switch to enhance the appearance of your panel and match its mating surface. The G/GS– 2011 and G/GS -2012 Series switches are manufactured on fully automated equipment making it an ideal, cost effective alternative to more costly dust proof switches with rubber boots. These switches can be modified to suit specific actuation forces, actuator height requirements and styles. The operating temperature rating range is -25°C to +105°C, and rated at 100,000 cycles no load minimum. Used in many consumer and industrial applications such as power tools, vacuums and appliances, both series are ROHS compliant and UL ,CSA and VDE listed. Serving customers since 1904, CW Industries is a World Class Manufacturer serving many of the leading industrial, consumer and defense electronics manufacturers with complex electromechanical slide, rocker and pushbutton switches; insulation displacement and MIL SPEC connectors; and a variety of custom switches, custom connectors and assemblies that require a high level of precision, performance and reliability. CW Industries is ITAR Registered, IS0 9001 Certified and our in house test facility is qualified to UL, CSA and DOD standards. For more information and technical specifications, contact Jon Schott at CW Industries, 130 James Way, Southampton PA, 18966. Phone: 215-355-7080. Email: jschott@cwind.com. 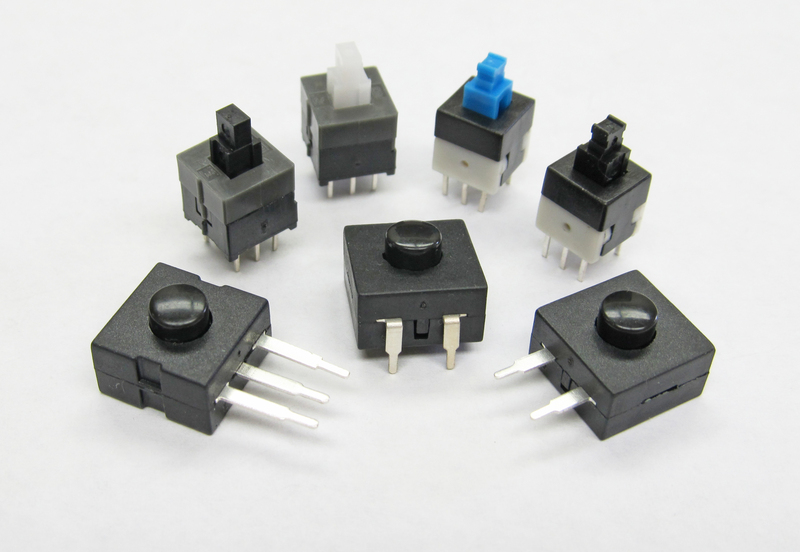 Southampton, PA. –CW Industries, a long recognized manufacturer of switches, connectors and custom components for the OEM, is pleased to announce a new series of push button switches for low voltage PCB mount or hand solder applications. Southampton, PA. –CW Industries, a long recognized manufacturer of switches, connectors and custom components for the OEM, is pleased to announce a new series of IP68 rated, heavy duty rocker switches for use in harsh environments that are resistant to both dust and liquids. Southampton, PA. –CW Industries, a long recognized manufacturer of switches, connectors and custom components for the OEM, has developed a new Toggle Safety Cover featuring a rugged spring-loaded design that provides protection against accidental actuation. The CW GT-4X Toggle Safety Covers are available in white, black and red and designed to mate with CW Industries GTS Series toggle switches. The mounting base faceplate is glossy black steel and the safety cover is an ABS blended plastic resin. The mounting hole is .481” and accepts all standard toggles with 15/32″ mounting stems. Used in a wide range of commercial applications including cockpits, power plants, command centers, agricultural equipment, racing and general industrial automation, the CW Safety Cover prevents any inadvertent or accidental lever actuation. When the cover is raised, the toggle can be operated freely. When the cover is fully depressed, the toggle is locked in a stable position. The Toggle cover is attached to the switch by means of a threaded nut. Serving customers since 1904, CW Industries is a World Class Manufacturer serving many of the leading industrial, consumer and defense electronics manufacturers with complex electromechanical slide, rocker and pushbutton switches; insulation displacement and MIL SPEC connectors; and a variety of custom switches, custom connectors and assemblies that require a high level of precision, performance and reliability. CW Industries is IS0 9001 Certified and our in house test facility is qualified to UL, CSA and DOD standards. Southampton, PA. –CW Industries, a long recognized manufacturer of switches, connectors and custom components for the OEM, has introduced a new push button alternate action latching switch to complement its full line of GC-536 push button switches. 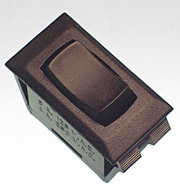 The GCL-536 series push button switch was designed by CW Industries for automotive interior lighting applications to mate with customer insert molded and lead frame manufactured components. The unique design of the switch enables it to be easily customized for specific customer operating force, mounting and termination requirements including PCB, Quick Connect,Wire Lead, and Plug In. Specified by many of the leading US and Transplant Automotive OEM’s throughout the world, the compact switch design enables it to be adapted into low profile applications where space is limited. Rated at 1A 125VAC, 3A 14VDC, the SPDT ON-ON switch can be operated either directly by the end user or indirectly by means of a lens or incorporated into other operating mechanisms. The audlble and tactile response features of the switch can be customized to meet unique requirements such as “soft touch,” “quiet” and “firm.” The rest and latched height are easily discernable by the end user to identify the contact state. Southampton, PA. –CW Industries, a long recognized manufacturer of switches, connectors and custom components for the OEM, has developed a new rocker switch to withstand external high impact forces normally associated with lawn and garden applications such as kill switches in generators, power washers or pull start engine applications where the recoil of the pull start mechanism could adversely affect switch performance due to mechanical impact. 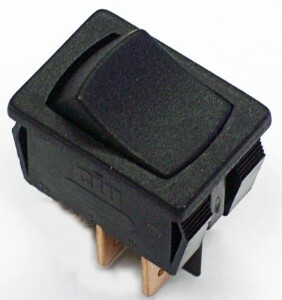 Rated at 16 amps, with higher currents available, the CW GRHI – 2000 series is a Full Size, SPST or SPDT Rocker Switch made with a high impact thermoplastic blend that has been field tested and approved for applications where the likelihood of switch impact and mechanical failure is prevalent. The switch can be mounted securely in a .550’’x 1.125’’ panel opening requiring no screws or other fasteners. The standard switch includes a black housing and rocker knob but can also be molded in a wide range of colors and special markings to suit your specific requirements. The CW switch encompasses optional drain holes which allow for the removal of water, condensation and other incidental moisture prevalent in these outdoor environments. Our patented unique contact sliding and rotating action ensures contact cleanliness and extended life. Southampton, PA. –CW Industries, a long recognized manufacturer of switches, connectors and custom components for the OEM, is pleased to announce a new double pole – 3 position switch that sequentially makes or breaks electrical contacts in alternate poles. This feature can be combined with appropriate momentary or detent action in alternate positions. Rated at 3 amps, 125V AC, the CW GC-509 switch is UL recognized and is an OFF-ON-(ON) construction. This unique product has one pole that maintains contact in 2 positions and the other pole that acts as a power disconnect switch. 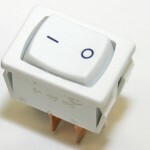 The complete function description and logic table is available on CW’s website – www.cwind.com. The GC-509 mounts into a panel opening of.0.756’’X 0.508’’requiring no mounting hardware. The actuator and housing are made of UL94V-0 polyester and available in a wide range of color options, imprinting, terminal type and polarizing means for switch mounting orientation. The CW GC-509 supplies power to a primary load with the capability of supplying momentary power to secondary loads in applications such as fluorescent lighting, ice makers, white goods, personal grooming, industrial controls, floor care and others. 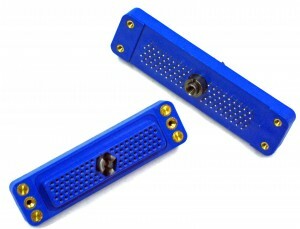 Southampton, PA. –CW Industries, a long recognized manufacturer of switches, connectors and custom components for the OEM, is pleased to announce a new high density rectangular connector with enhanced retention and solder- ability features that meets the requirements of MIL-DTL-28804 and NAVSEA 3164341 and 3164342 specifications. CW’s custom designed inserts offer enhanced retention to meet high altitude heat and shock vibration requirements. These connectors meet a minimum 80 oz. torque requirement and an 80 lb axial pull out force. Pin counts of 38, 50, 88, 108 and 132 are available with a standard pin length of .250 ±0.025. Other lengths and pin counts are available upon request. The CCM-20, 21, 22 & 23 series connectors are made of glass filled polyester with beryllium copper alloy contacts that are gold plated in the mating area. The termination end is solder dipped over nickel plating. Typical applications include advanced missile systems, torpedoes, flight guidance systems and other sophisticated military electronics equipment. CW Introduces a New Heavy Duty VDE Approved Miniature Rocker Power Switch. 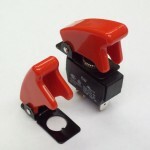 Southampton, PA. –CW Industries, a long recognized manufacturer of switches, connectors and custom components for the OEM, is pleased to announce a new miniature rocker power switch rated at 8(8) Amps @250 VAC for use in product sold in Europe that require VDE approval and have contact gaps greater than 3mm. This switch is available in DPST construction and is RoHS compliant. The CW GRS–4121 series switches are made of heavy duty nylon with copper alloy terminals and feature a male .187’’ wide quick connect terminal for ease of installation. The switch can be mounted securely in a .756’’x.508’’ panel opening requiring no screws or other fasteners. The CW switch complies with the 850 degrees C Glow-Wire Test for insulating material used in the switch construction. This compliance is critical in applications that require higher heat resistance than standard switch designs. The GRS-4121 switch is ideal for main power disconnecting in many industries including the appliance, lawn and garden, floor care and medical markets. A variety of color, markings and termination options are available to suit your specific requirements. 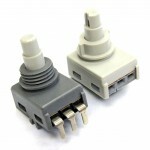 Posted in CW Products News	| Comments Off on CW Introduces a New Heavy Duty VDE Approved Miniature Rocker Power Switch.